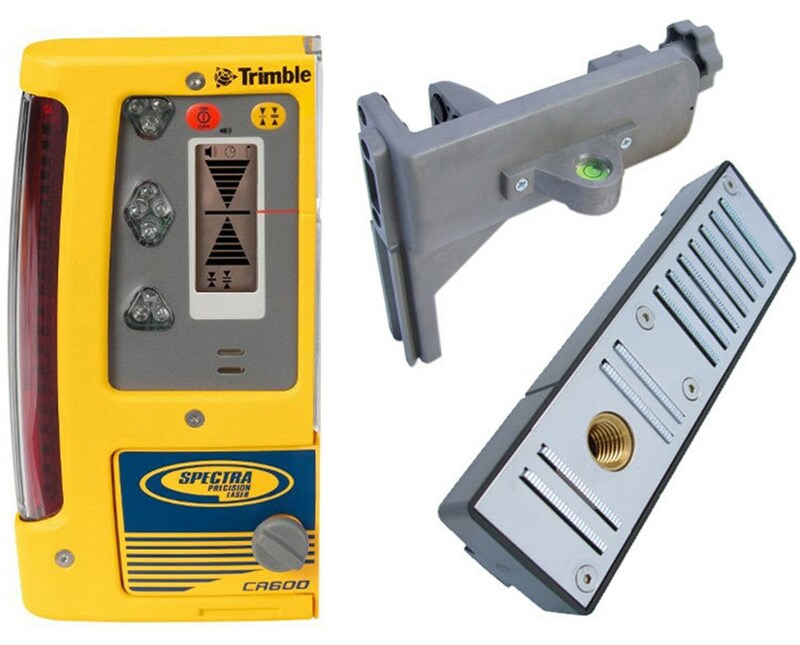 Designed for general construction and laser based display systems, the Spectra CR600 Combined Machine Control Laser Receiver is an easy-to-use laser receiver for accurate measurement of elevations. 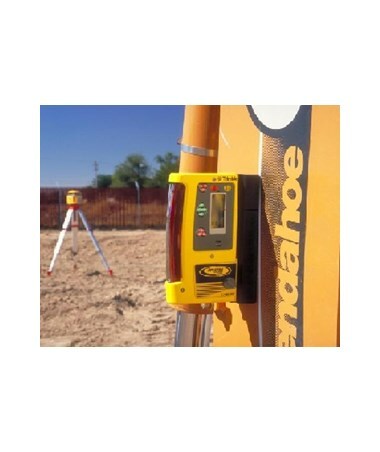 This laser detector features dual mount function (either rod or machine mounted) for a wide range of applications. Also, it includes both a rod clamp and a magnetic mount for construction use. Plus, the CR600 comes with a 270-degree reception angle which provides less dead spots and improved productivity for machine control applications. 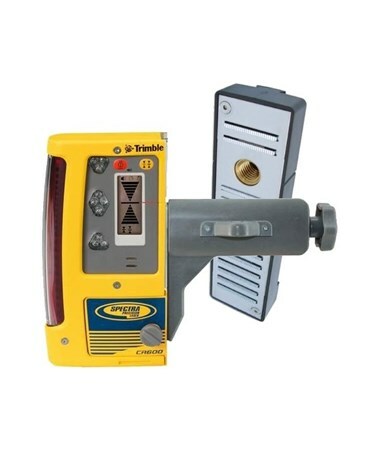 With its 15 display channels, this machine control laser receiver's high and low indicators allow the offset to the on-grade position to be directly measured. Also, it has five selectable detection accuracies for grading. 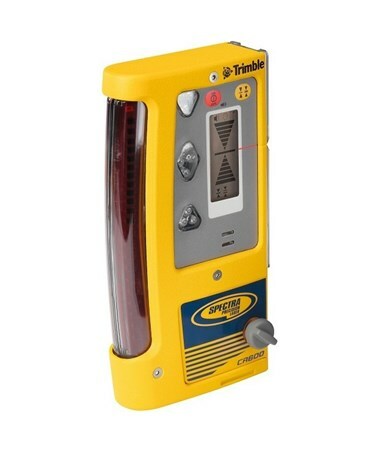 This laser receiver features super bright red and green LED indicators that ensure high visibility in poor lighting conditions. With its spectral sensitivity, it operates with red visible and infrared lasers with a wavelength between 610 and 900 nanometers. In addition, It includes an audio indication that aids in grading. 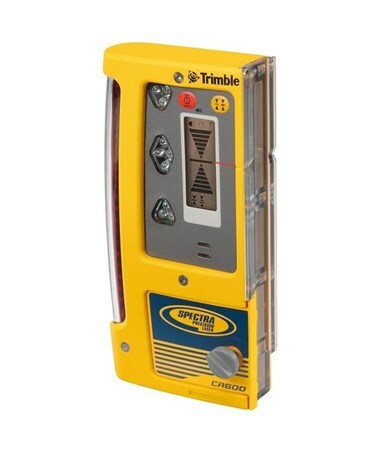 The Spectra CR600 includes a single LCD front display that shows instrument status and reading. It uses powerful batteries that can run up to 100 hours. 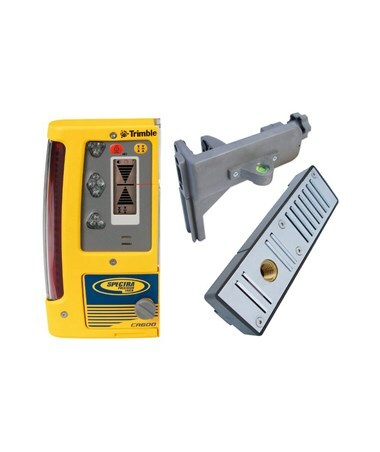 Also, it comes with an auto shut-off function that allows the receiver to turn off 30 minutes after the last laser detection or push button actuation. 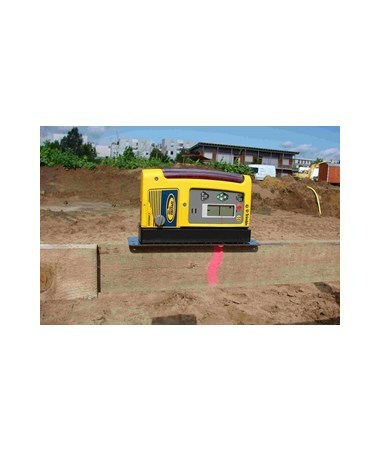 With a heavy-duty die-cast magnesium housing, the CR600 is durable and can withstand a 10-foot drop on concrete. In addition, it is dustproof and water resistant with its IP66 environmental rating.